Texas is as diverse a state as one might imagine. There are desert landscapes in the west which contradict the lush Hill Country in the middle of the state. Let’s not forget the forests, swamps, and beaches. Ahhh, yes, beaches. One of them made it onto my list of destinations for 2017 – South Padre Island. 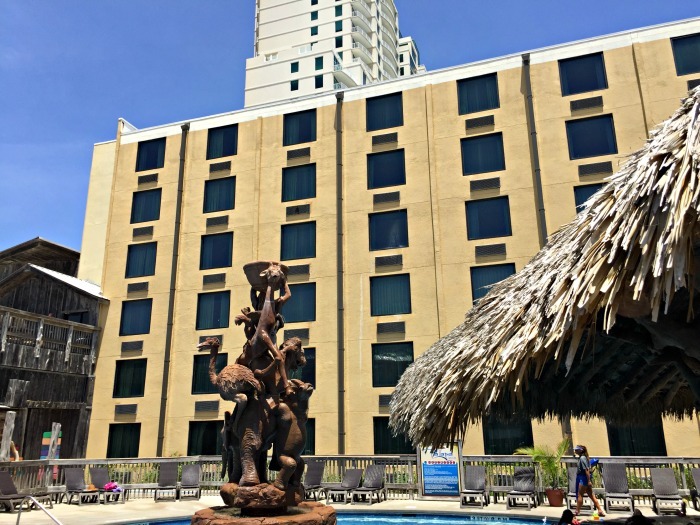 My family and I headed down to South Padre Island and stayed at the Schlitterbahn South Padre Island Beach Resort as part of a sponsored campaign, and I’ve got all the scoop on this family-friendly resort! 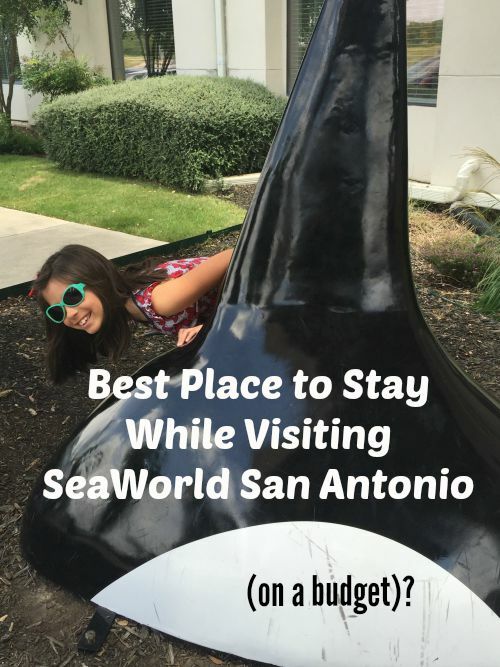 When someone mentions Schlitterbahn, the first thing that often comes to mind is a waterpark. Not just any waterpark, mind you, but some of the world’s best. But did you know that Schlitterbahn was more than just a waterpark or two? 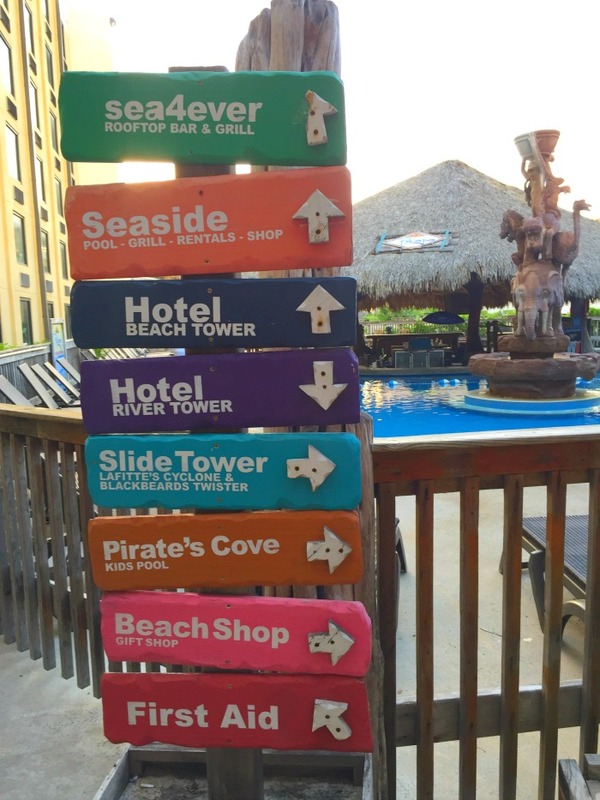 Not only are there five waterpark/riverparks in the Schlitterbahn family, but there are resorts as well. Waterpark and resort? It was time to check out what all the fuss over Schlitterbahn was. From Dallas, we flew into Harlingen, Texas, rented a car, and headed to South Padre Island, less than an hour away. Of course, many Texans prefer to drive the entire way. 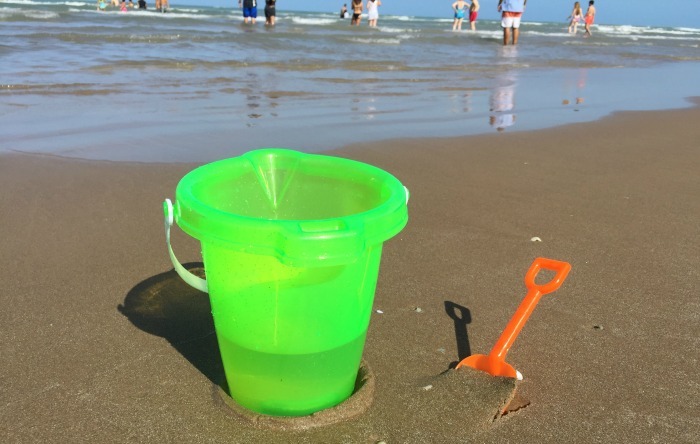 2018 TIP: South Padre Island was not impacted by the hurricane that caused havoc in Houston and other south Texas communities in 2017. 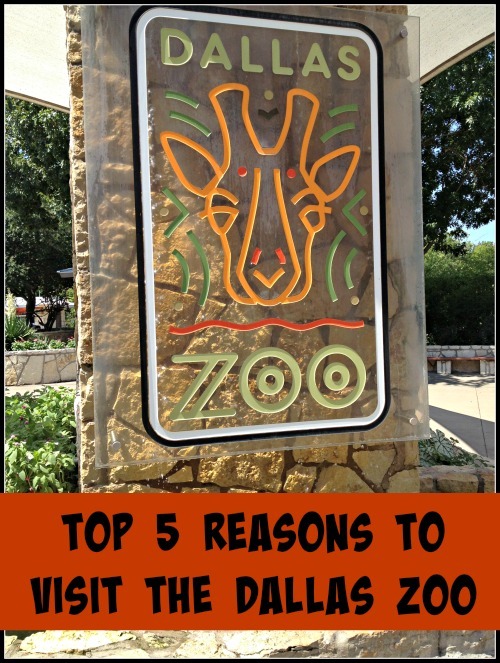 Because of that, it’s a great destination to consider as you plan any weekend getaways from the cold weather or summer vacations. 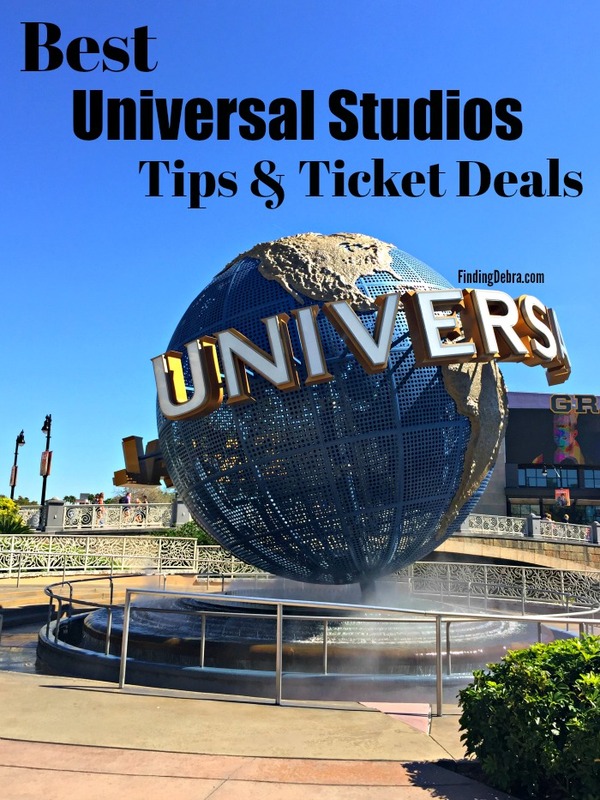 While most families like to avoid the island during Spring Break time (me included), this is an incredible, beautiful, and affordable destination at all other times. 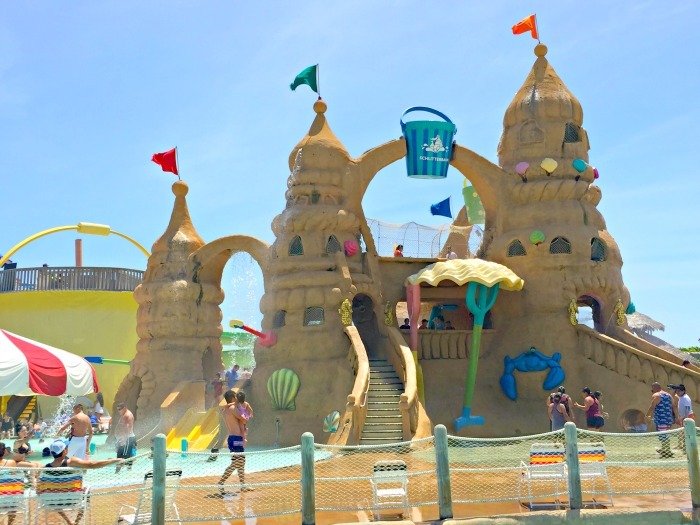 The Schlitterbahn Beach Resort is South Padre Island’s newest beachfront resort. You’ll find 221 rooms nestled on the edge of the waterpark (yes, admission is included in your stay, but more on that later). I literally could hop on the Los Rios Azul (waterpark river) just steps from our building. We stayed in a beachfront room (above), facing the beautiful Gulf of Mexico. Fun Fact: The resort rooms feature repurposed Loblolly Pines from the 2011 Bastrop wildfires in Texas. You’ll find just two towers at the resort, the hotel beach tower I mentioned earlier, and the hotel river tower (above). While the river tower didn’t necessarily have the amazing views of the Gulf, some rooms overlooked one of the pools just outside the lobby and waterpark. One thing you will quickly notice about this resort is that the rooms do not have balconies. While this might upset some beach-goers, the windows provide a great view, and let’s not forget that families with small children might find this an essential safety benefit. 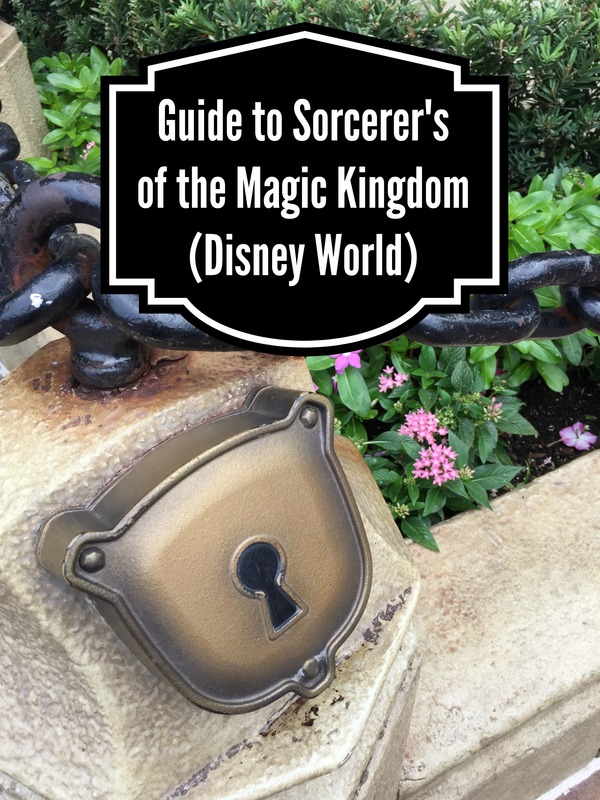 Everything at the resort is easily accessible, having only two towers to navigate. 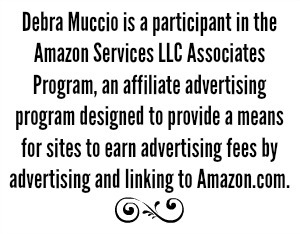 Now if we are talking about the waterpark, THAT is another story altogether. HUGE! A small gift shop off the lobby featured some snacks, clothing, and beach necessities. I had several other friends staying on the island while I was visiting. 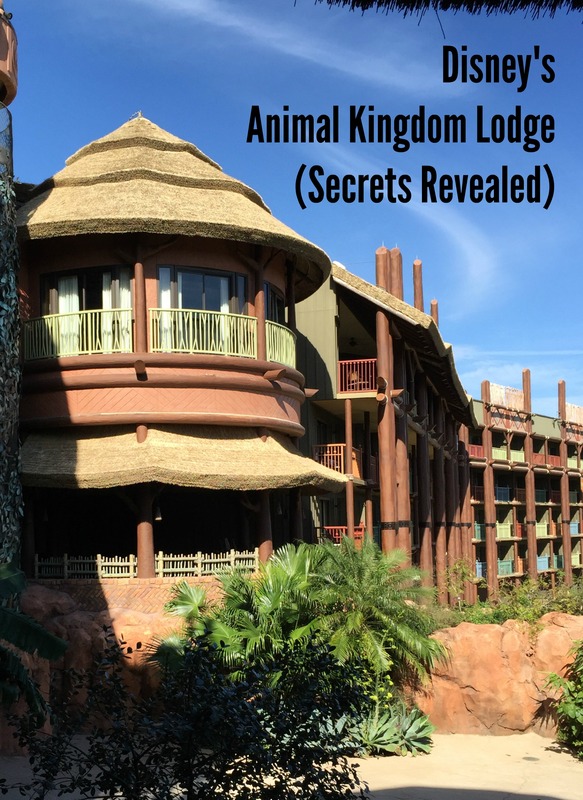 They all enjoyed incredible views but I loved that I had an advantage when it came to my resort stay (as opposed to their condo stay) – room service! Room service was not only available, but we tried it out. 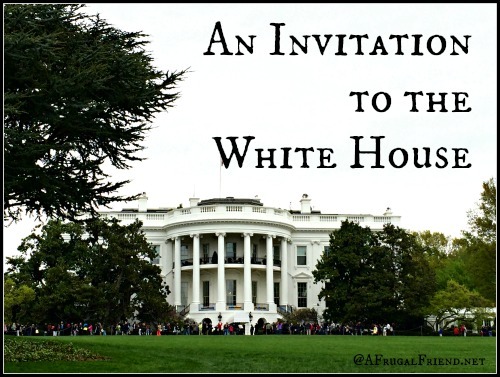 It wasn’t intentional, but my husband was not feeling well one morning and he decided to stay in the room as opposed to joining us for our busy day (you should have seen the itinerary). Room service – two thumbs up! 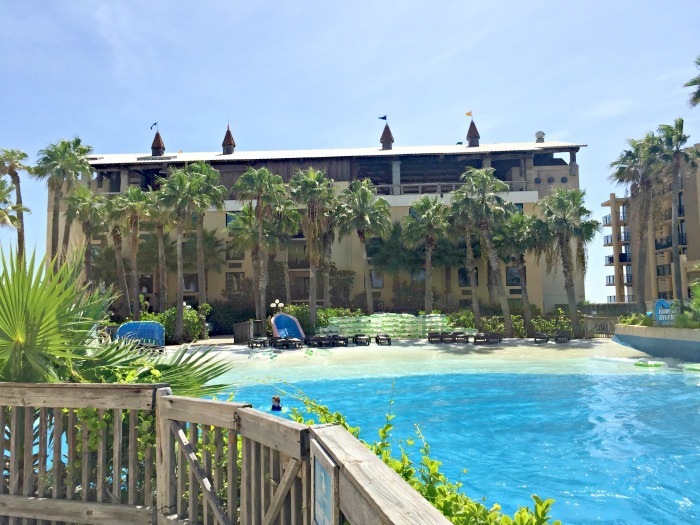 We ate several times at the main Schlitterbahn Beach Resort restaurant – Seaside Grill. 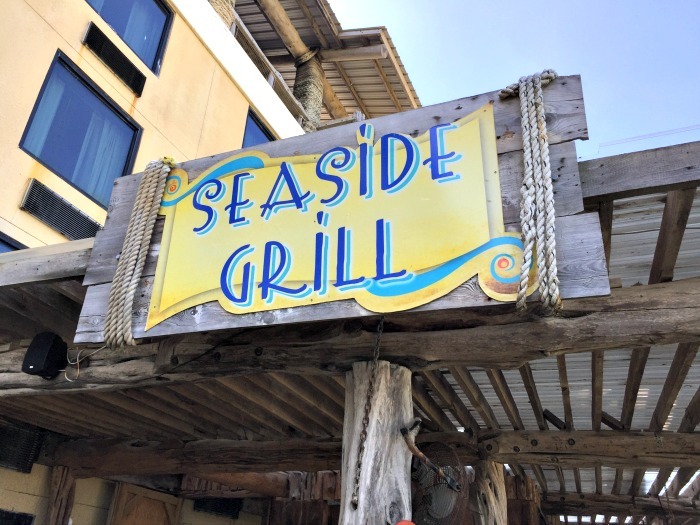 Located on the backside of the hotel beach tower, Seaside Grill is an open-air restaurant overlooking the beach and Gulf of Mexico. I could not get enough of the view, but it was the food that stole the show. From Mexican Steak Street Tacos to the Grilled Ribeye, it was delicious. Best of all, it was so casual that one needed only put on your swimsuit cover-up to enjoy. 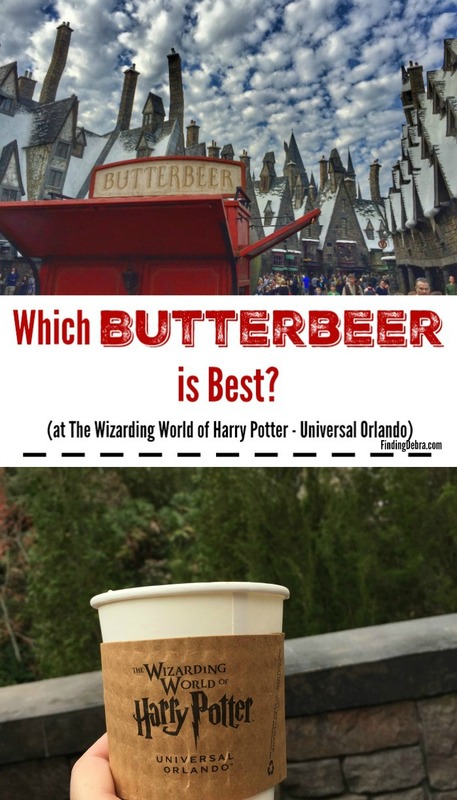 You can also grab a drink at the swim-up bar (one of two non-waterpark pools at the resort) or visit Lilly’s at Palm Beach, a spot for quick snacks like chicken tenders, corn dogs, or funnel cake. 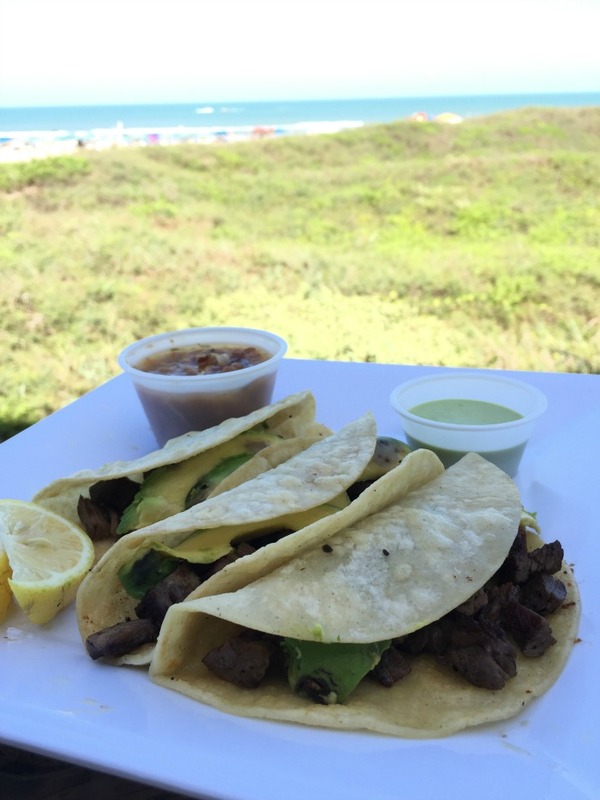 Check out my full guide to South Padre Island restaurants over on the official South Padre Island blog! 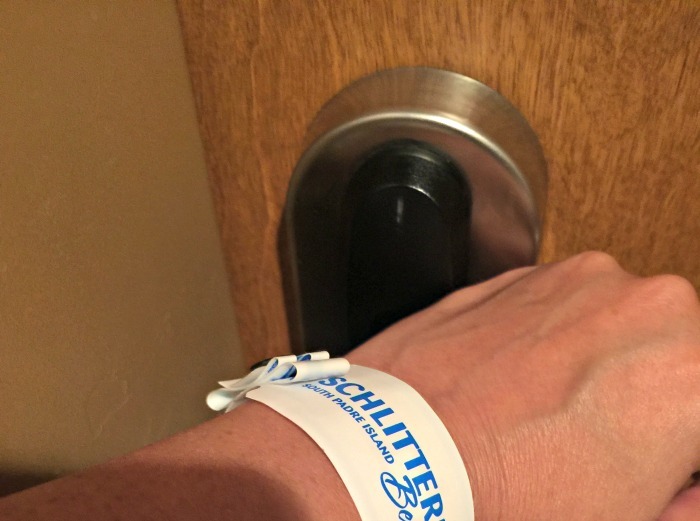 Even with beachfront access (resort guests have a wristband that allows the exit/entry via a side gate that leads down to the beach and Gulf of Mexico), a highlight of any stay at Schlitterbahn Beach Resort is the waterpark itself. 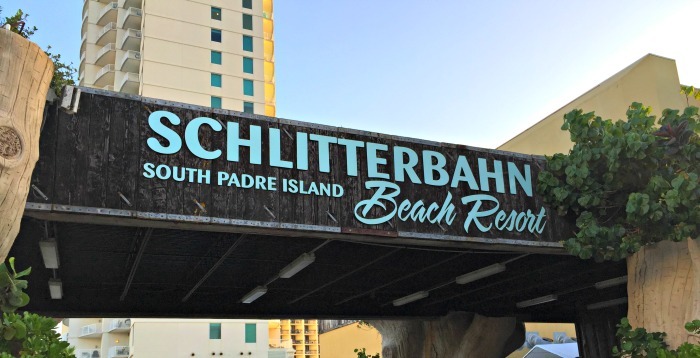 Schlitterbahn South Padre Island has both an indoor and outdoor waterpark connected to each other. Resort guests can access in many ways and there is a tunnel connecting both the sections. Admission is included in your stay, as the waterpark is a huge attraction in and of itself. Resort Perk: Waterpark Early Ride Time EXCLUSIVE to Resort Guests for 1 hour prior to park opening. There’s so much fun to be had at the waterpark. From play areas for young children to rides for thrill seekers, there’s something for the entire family. 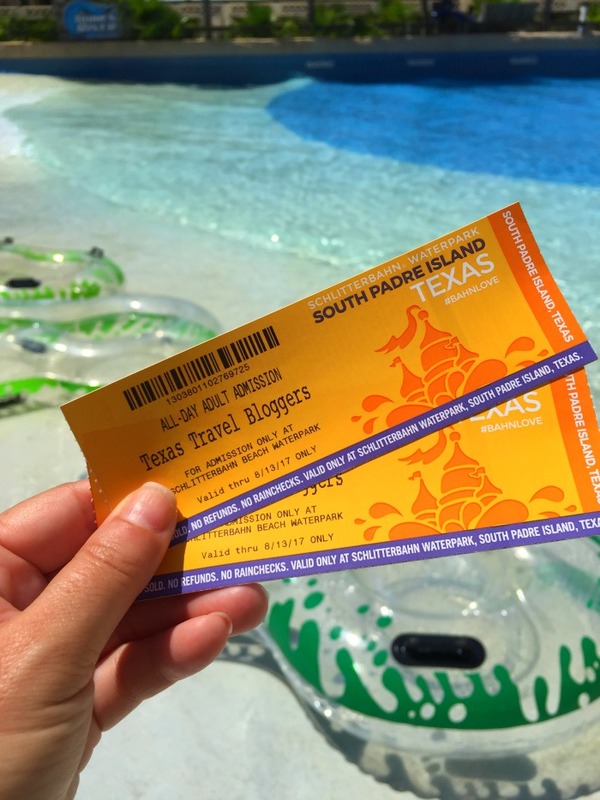 There’s a reason Schlitterbahn is known for their waterparks! TIP: Life jackets are available at no additional cost – love that! Similar to the technology that Disney World seems to use in Orlando, Schlitterbahn had bracelets for us to wear during our stay. These bracelets were our keys – to our room, to the gates leading to the beach, etc. The bracelets were thin and waterproof of course! TIP: Our beachfront hotel room was beautiful and convenient, with the ideal view. That said, there was a downside. When one steps off the elevator, you are kept in a small area until you can use your wristband to gain entrance through doors to your hallway. Unfortunately, on the side opposite the doors you are wanting to get through, are other doors leading to a smoking balcony. At least on our floor, that made getting off the elevators uncomfortable for someone like me with asthma. Hopefully not all floors are like that, but my tip would be to get a room on the ground floor if you have a sensitivity to smoke. What can I say? We spent many hours enjoying the view and playing in the water and sand. Looking for shells. Jumping the waves. Family memories made. What are you waiting for? 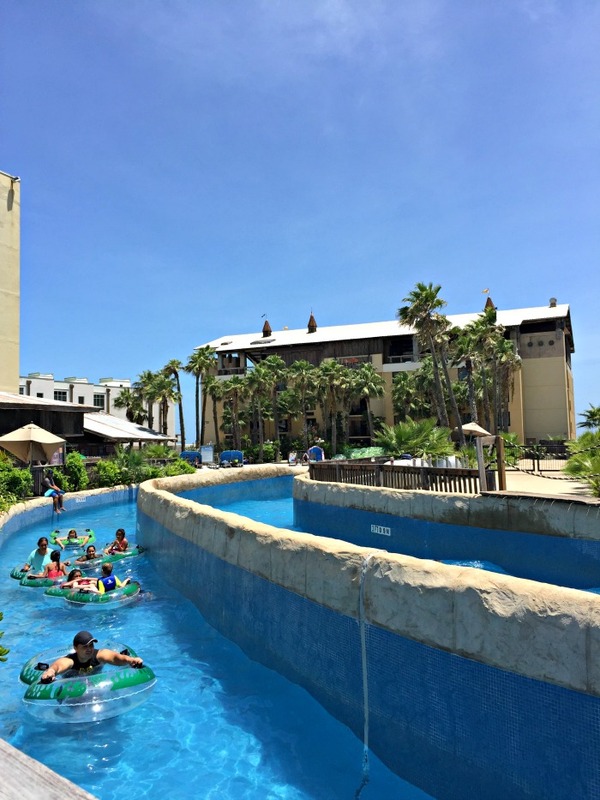 Start planning a trip down to South Padre Island now – you know my pick, the Schlitterbahn Beach Resort! Schlitterbahn is new to me but looks like a fabulous something for everyone family vacation. I’ve heard so many wonderful things about the South Padre Island. Looks like I need to plan a holiday! You must might need to head this way! 🙂 It’s Texas time! WOW! 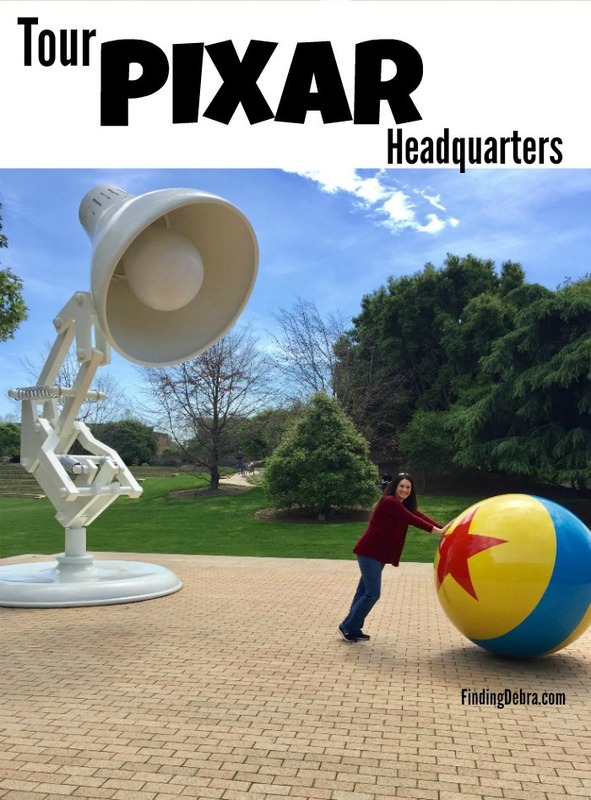 That looks like a fun place to stay – for kids and adults alike! I took a vacation in South Padre Island several years ago. 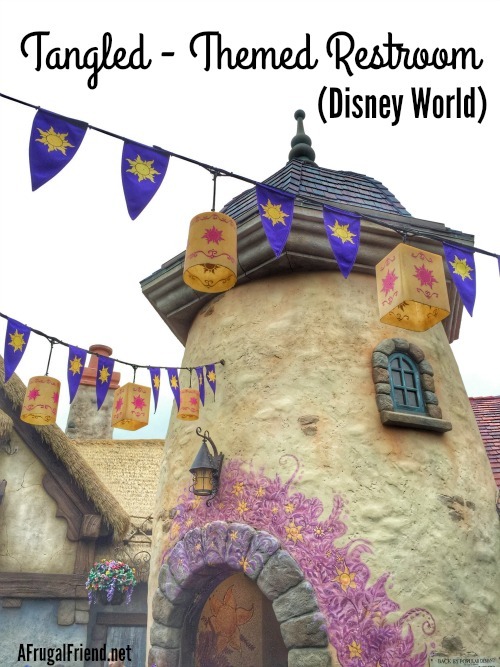 I loved the area! It’s on my list of places to return to someday. Oh how fun! It is a great area! Those pictures are so inviting. I want to see the beach again. South Padre is a jewel! Oh with Spring Break coming I’ve totally got an itch to go on a fun family vacation! This looks like one to add to the list for sure! Grateful to hear it wasn’t affected by the hurricanes. In the past it has been enjoyable for us. Here for our anniversary. Highly disappointed this trip. Torrent indoor river not working. Discovered it’s been out for over a week. Not informed at check in. Mosquitos in the water due to it not circulating. Water leak in our room. Resort needs maintenance. Oh, I am so sorry this trip was an exception to your fun trips in the past.